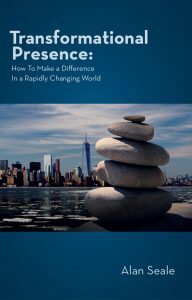 Transformational Presence – New Book Launches October 11th! for a world that feels overwhelmingly divided and unjust. gives us the tools we need in times of uncertainty and rapid change. Few people would argue that the world is changing quickly. However, what are the changes really about? What’s happening underneath the surface, why is that important, and how can we respond in the most effective and impactful ways? These questions are at the heart of my new book, Transformational Presence: How To Make a Difference In a Rapidly Changing World, due for publication on November 1st. This book has been “working on me” for several years, yet in recent months, it became clear that the time was now. Because the book’s message is so timely for all that is happening in the world, we will offer a free PDF download of the book manuscript from October 11th through November 30th. The print and e-book versions of the book will be available for purchase on November 1st. During this seven-week introductory period, our intention is to continue spreading the message of Transformational Presence further around the world. It’s a message of hope, inspiration, vision, understanding, new kinds of strategizing, and enlightened action. Making this book available for free for seven weeks is another way that we continue to fulfill our mission: to create a world that works. When the download link is announced on October 11th, please share it with your colleagues and friends and through your social media networks. 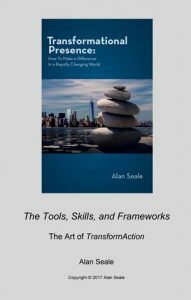 Transformational Presence: How To Make a Difference In a Rapidly Changing World is actually the first book of a two-book set. This first book explores a new paradigm of leadership and service for our complex and uncertain times. While many people feel that systems and structures in our world are breaking down and falling apart, I believe that they are actually breaking open. When something breaks open, we can more easily see or sense what is happening at the core. We can discover the seed of a new future that is waiting for us. Transformational Presence offers new ways of thinking and understanding. And it provides simple yet powerful, practical yet effective tools and approaches for navigating our current challenges and opportunities. 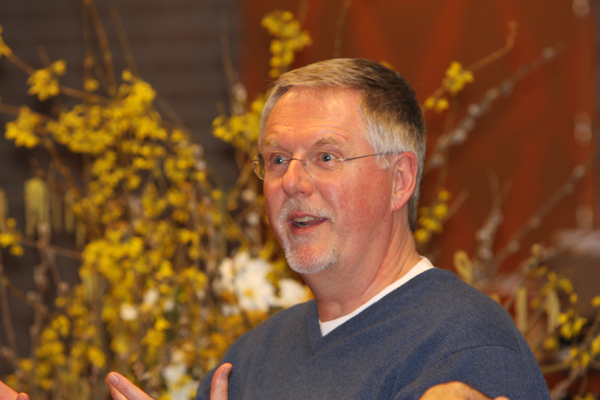 To introduce the books, Trace Hobson and I will offer three free interactive webinar dialogues. The live videoconferences will be on Wednesdays, October 11, 18, and 25, from 2 – 3 pm EDT / 11 am – 12 noon PDT / 20 – 21h CET. All of the dialogues will be video-recorded so that you may also watch later at your convenience. Please join us! Register for the free webinars now. Why Transformational Presence? Why Now? All of the dialogues will be video-recorded and available within 24 hours after the dialogue. All registered participants will receive a link to the video recordings via email.